This true story is based on a elementary teacher’s experiences in the classroom. 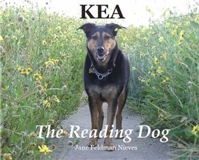 Jane and Kea were able to provide an atmosphere where children at all reading levels were inspired to read. Kea became a friend and a true classmate.